Most of the time, we want to be hands-on and determine ourselves the direction of the appearance and elements of the house. Nevertheless, even a person who has defined personal style still looks for inspirations and models. But what if there are no ideas or examples that we can follow is the design possible or doable at all? No need to worry, because Homify has brought you today’s ideabook! Today, we focus on the idea and techniques of roofing. Let’s see some tiles and shades to match your home, exactly what you want to see. Each one is unique, better get some ideas for your home! 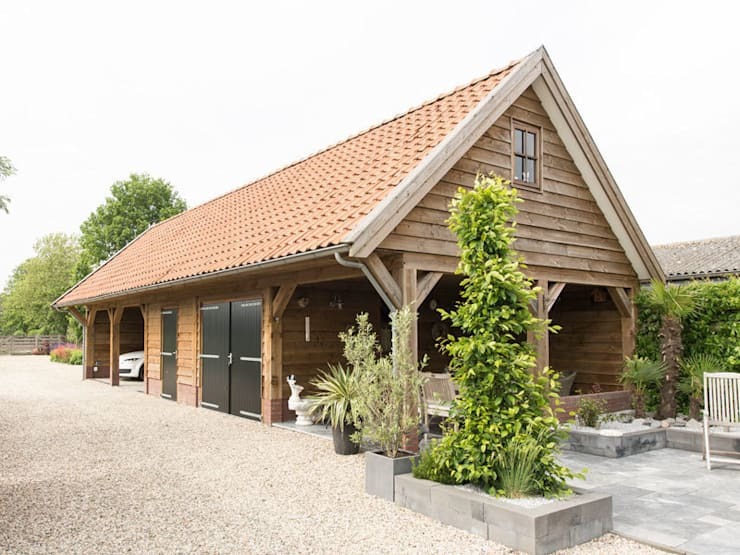 This house is designed with almost all wooden materials. The distinctive feature of the house is the basement and patio that connects to the second floor terrace. Choosing the color tiles to control the color scheme to blend with all the natural mastic wood material is key. Designers used flat ceramic tiles who want to use ‘brown terracotta’ to make the yellowish color of the wood more noticeable. 2. Half-timbered house with modern dark gray roof tiles. 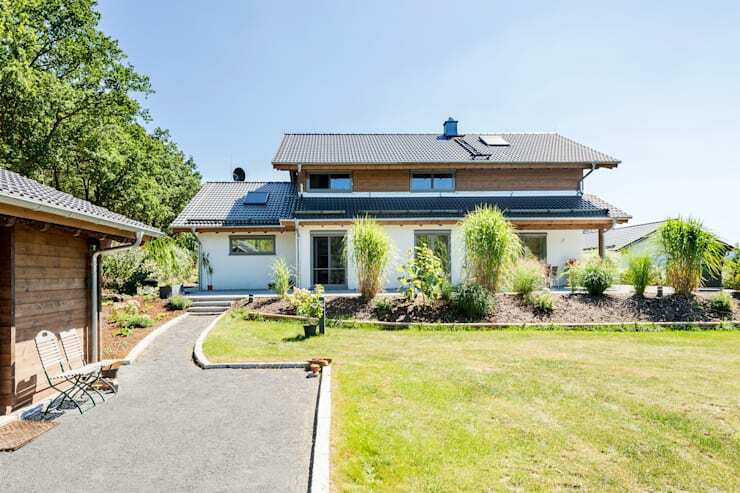 This home is a two-storey house built in a modern style. It is a boxed house coupled with a gable roof, coupled with white brick masonry and wooden walls. 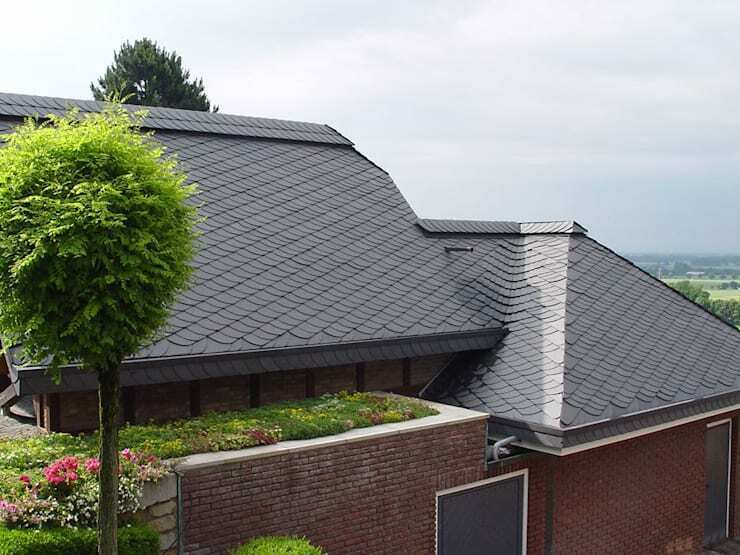 The roof has to be harmonized with the choice of dark gray ceramic tiles, which offer a fresh look and can be combined with a variety of materials to fit the home perfectly. 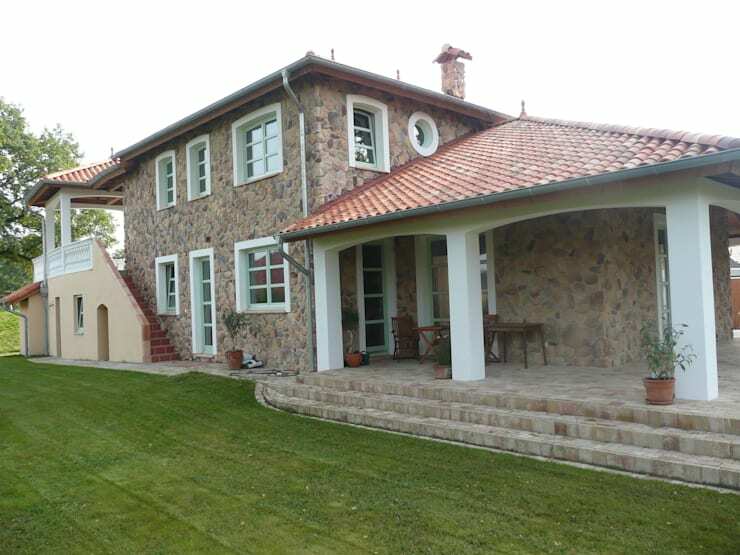 This classic home has a distinctive design with stone walls around the house. The frames in white stand out while the roof is hipped at the floor level of the house. In choosing roof tiles, control the atmosphere and color tone to look cozy and warm; like for example, use natural terracotta tiles, which is the natural color of the material. It looks so harmonious which gives a peaceful home atmosphere. The fourth house we will visit today is a two-storey house with attic space. 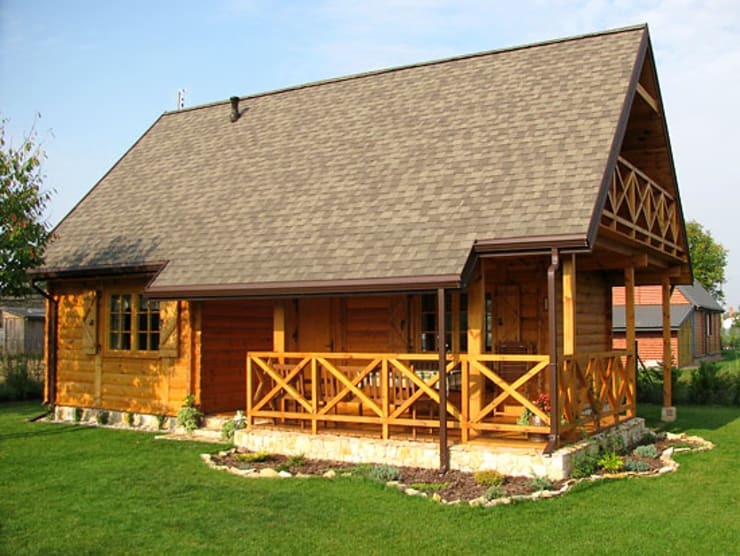 This example is clearly a modern house with a large gable roof covering the entire house. The decorative design uses a pale yellow wall, which is a color scheme that meets with the brown wood structure. In choosing roof color to look beautiful, always remember to use dark colors that are contrasting, such as this dark brown ceramic tiles. It looks simple and looks good in a countryside house. The home is a two-storey house with a gable roof; and one thing to highlight in this house is its walls constructed using log timbers. Also, notice the wood material used which is yellow natural wood. 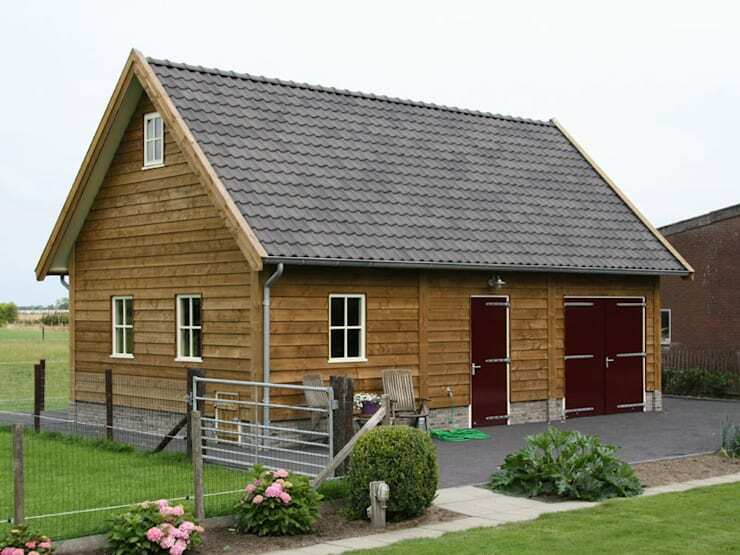 The tile roofs used are dark brown ceramic tiles, which make the house look more distinctive against the wooden materials and also look more dimensional than the light colored tiles, so as the color of the house walls. 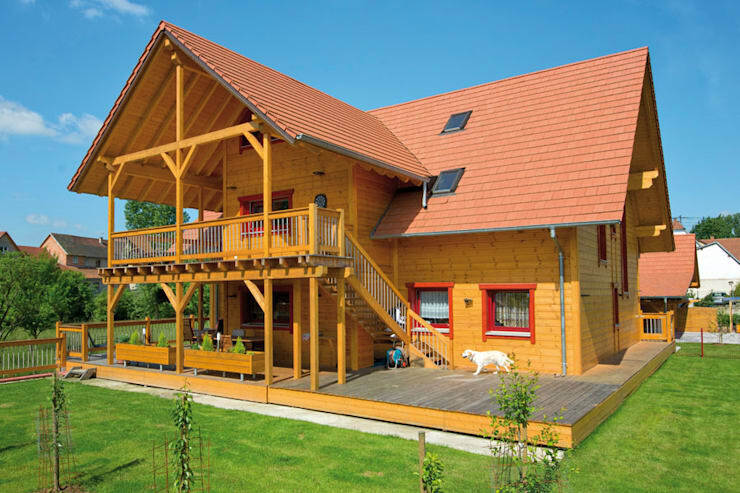 This wooden house looks beautiful from the outside with the design of a homey countryside house. Here, gable roof and wood material are also used and as ever, the roof tile material must have a look of warmth and simplicity. By choosing natural brown wavy ceramic tile, the tone is in the same tone as the color of the wooden wall. There is also the beauty of having black steel doors and exterior landscaping with gray gravel pathways that make one’s home look stylish and modern. 7. Low-gloss tile with translucent acrylic roof can be matched. The roofs seen here are part of the roof of the shed or garage outside the house. Considering that it’s a one low-rise, wooden building, roof tiles chosen are in low gray tones. Also, the use of acrylic roofing material, which is a translucent material, can provide the light through. 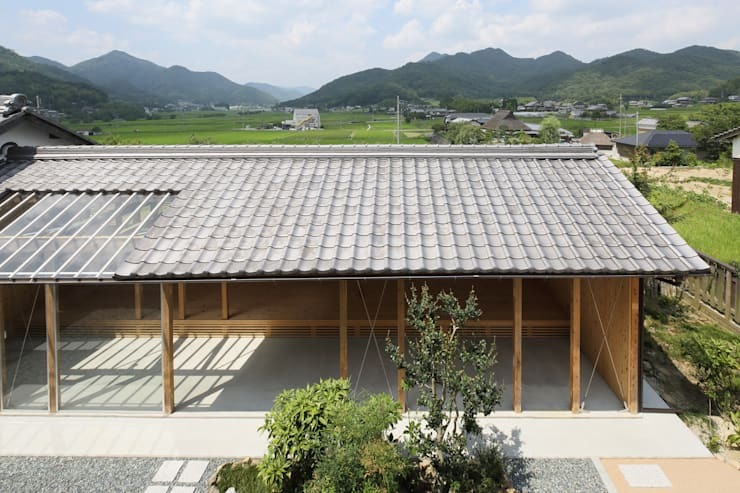 This roof design is a fusion of new materials with traditional buildings. You can consult with a roofing contractor for materials and installation. 8. 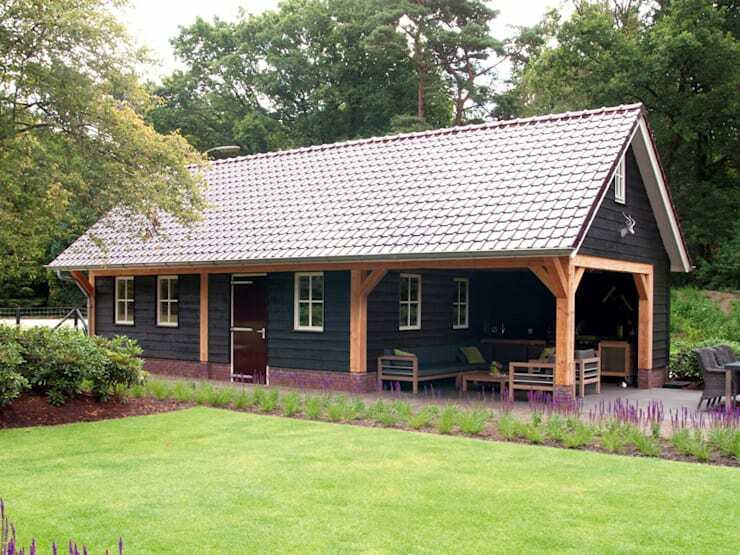 Dark wood house with light gray tiled roof. 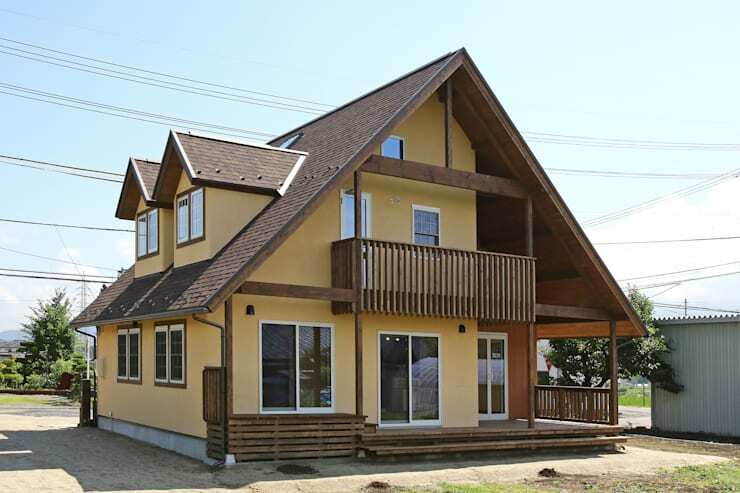 From the appearance of this house you will immediately see the smoothness of the details. From the design, the shape is clear, not overwhelming or ground-breaking from the typical country house. What’s special in this house is color scheme used, pitch black with almost matte finish. The natural wooden poles contrasted with the black gray of the wall gives the house a unique twist. To cap it off, the roofs which are light gray tiles, make the house look clean and classy. This is another house with a country house style. The emphasis is on the use of local materials such as wood, brick and tiles. The color scheme of the walls of the house is a natural warm brown wood. The use of tile roofs has been used for the use of double-walled ceramic tiles, which are distinct from the colors of the house. And at the same time, it is still light, not too bright, too bright. This house is suited for those who love light and relaxing colors—colors that are sweet, bright, not gloomy or too dark. 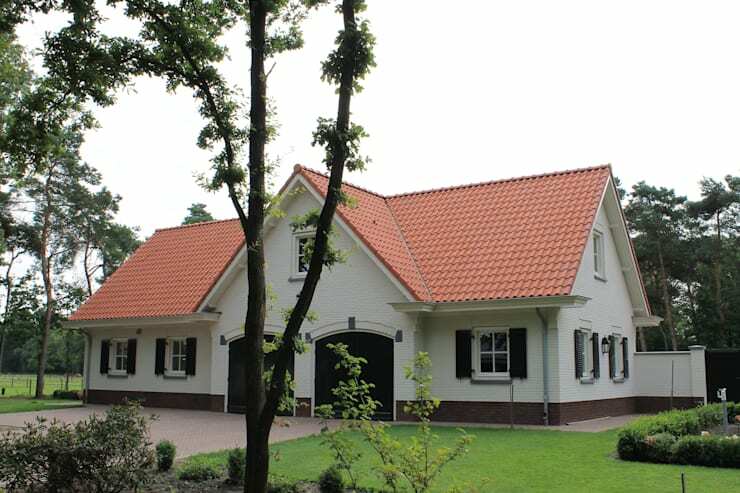 For white walls, pink or orange tiled roofs will be an interesting choice. The white color of the walls will make the pink shade roofs look brighter and more vivid. Other colors will give a different mood and brightness. 11. Tiled with fish scales for interesting curve lines. This tile is familiar to many people because of its classic look back in the style of old houses. The shade however, was converted to a gray tone which is a modern home color scheme. Notice the delicacy of rounded lines and smooth colors. Using a dark colored tile also has the advantage of dulling or smudging stains from dirt on the surface of the tile as long as possible.